In the Age of Quarrel and Hypocrisy, known as Kali Yuga, the Lord has taken form as His devotee. He was born as Nimai, and later known as Sri Krsna Caitanya. He is known as the golden avatara, due to his golden complexion. One of His names is “Gauranga.” His appearance was predicted in many Vedic scriptures. He appeared on earth approximately on the year 1486. Lord Caitanya came on earth with His associates and devotees to preach and spread the holy name of the Hare Krsna mahamantra. 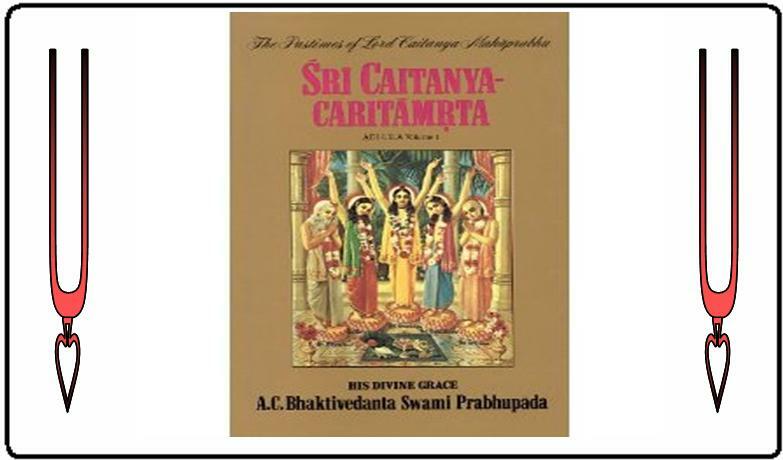 Krsnadasa Kaviraja wrote a great book in the Bengali language describing the activities of Lord Caitanya Mahaprabhu called the Caitanya Caritamrta (“The Nectar-like Activites of Lord Caitanya”). This book is considered to be Vaisnava literature of a higher level as it describes the profound effects of bhakti (devotional service), which requires great understanding of bhakti through Bhagavad Gita and Srimad Bhagavatam. The book was divided into three big sections. The “adi-lila” contains His early pastimes. The “madhya lila” contains the middle of His pastimes. The “antya lila” contains His final pastimes before His departure from the earth.